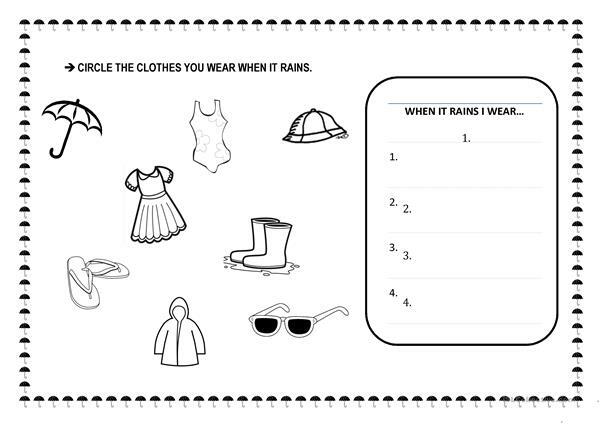 This worksheet can be used with the "Rain rain, go away!" 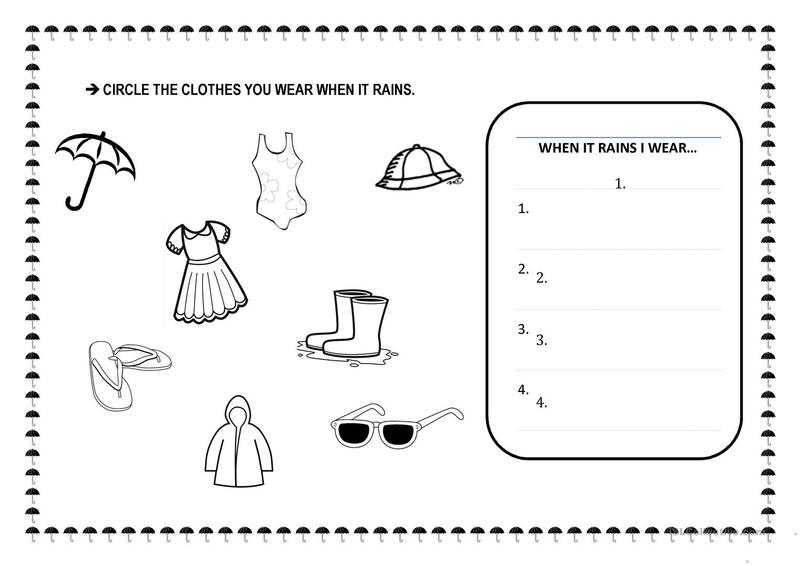 nursery rhyme plus learning what clothes we wear when it rains. 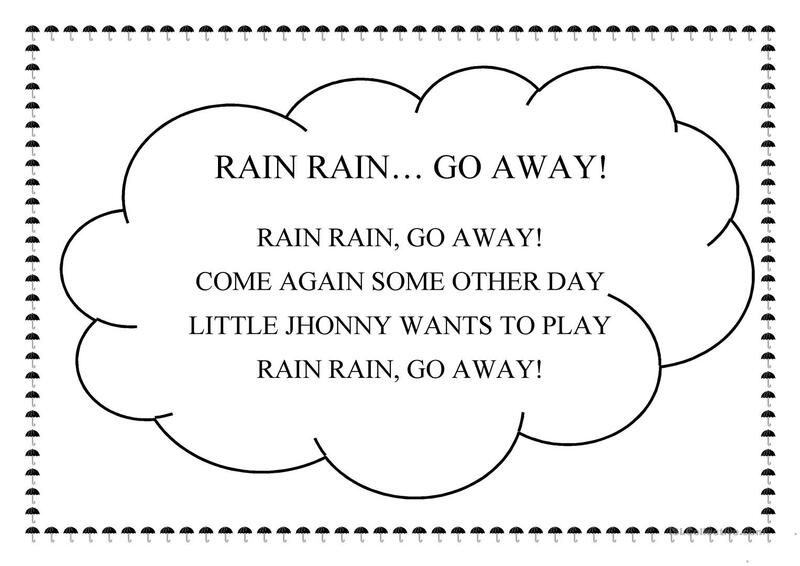 The present printable, downloadable handout is best suited for elementary school students, kindergartners and nursery school students and students with special educational needs, learning difficulties, e.g. dyslexia at Beginner (pre-A1) and Elementary (A1) level. 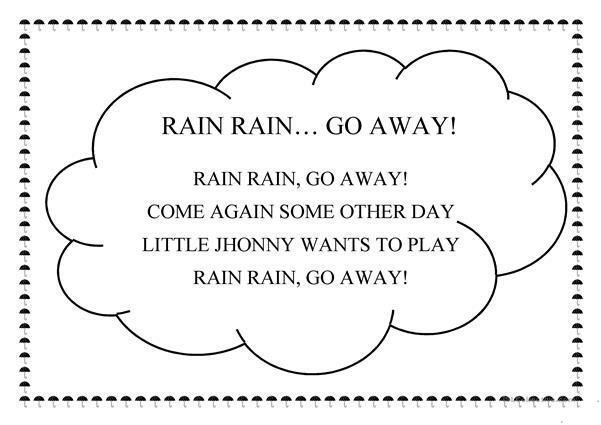 It is a valuable material for developing your groups' Listening, Spelling, Reading and Writing skills. It is about the topic and words of Clothes, fashion.